Daniel is a musician at heart. He embraces how music is linear and regimented, with sets of rules and parameters, but that you can also have the freedom to mix and match styles to make something truly creative. It’s that same logical-but-creative thinking that makes him enjoy web development. 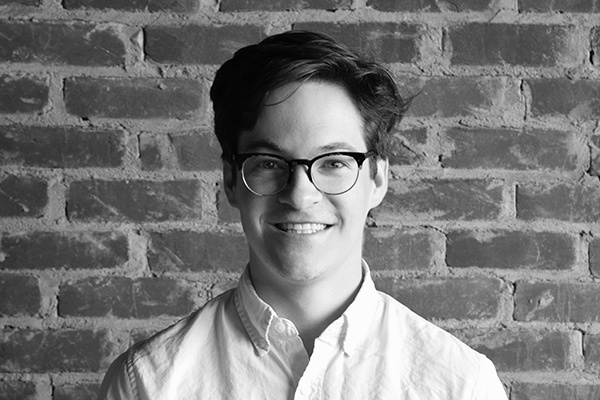 Daniel recently moved from Virginia to Dayton to join the Sparkbox team as a developer. Like many other developers, Daniel caught the bug in his high school calculus class when he first programmed a calculator—a necessity to pass class according to him. Once he realized you could extend that programming to include graphical work and small games, he was sold. “It clicked for the way I think.” After working as a full-stack developer with his hands in some of the user experience and design worlds, Daniel’s excited to bring that well-rounded thinking to our team and work to help drive clients toward great solutions. When Daniel’s coding, he’s usually listening to music (Republic, Typhoon, Phox, Ed Sheeran, Bellarrive, etc.). And when he isn’t coding, Daniel’s likely playing the guitar—or maybe the alto sax, bass, piano, harmonium, or another random instrument—while he hangs out with his wife, Kelcey, and new puppy, Annie. If you’re looking for a really fun conversation, just ask Daniel about all the ways he can compare music and coding. Or just say “hi” and meet a fun guy.